Jacqueline Blackley was born in Buffalo, New York. She received two Bachelor of Science degrees from SUNY Buffalo and went on to earn her Master of Science from D’Youville College. Jacqueline attended the University at Buffalo Law School, where she earned her Juris Doctor. Jacqueline is also a registered nurse in New York. She spent 20 years in healthcare with experience in clinical and administrative practice. 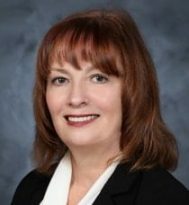 Jacqueline is an active member of the community, holding memberships in organizations such as the Erie County Bar Association, Erie County Medical Society, and the New York Bar Association.